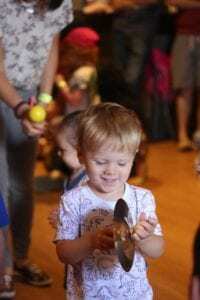 Blog » Mini Maestros – time for us to say bye bye! Mini Maestros – time for us to say bye bye! This week has been quite emotional as my husband, Sam, went with Leon to his last Mini Maestros lesson! We knew it was coming as he is starting school in September, but it has hit us quite hard as it just shows he is growing up, will soon be starting school and we are going to miss such an amazing class! We have been going to Mini Maestros since Leon was about 6 months old, so 3 years!! I wanted something to do after baby massage classes that Sam would also enjoy with Leon when I returned to work. Sam’s family are quite musical, I like singing (not in tune!) and I thought it would be a fun thing to do! I went with our baby to see Irene in Ossett, and I soon got into the swing of singing the songs, making up my own words and enjoying our time, especially with the cuppa at the end. Sam was welcomed into the group full of Mum’s (he was quite apprehensive about being the only Dad at first) and soon knew the weekly routine in the really friendly environment! When there was a venue change in Ossett, we decided to move down to the Horbury class with Emma, which was in walking distance from our house! I think this is when Leon really developed in the class! He was a bit older so could join in himself, tapping and clapping! The kids are encouraged to run around and have fun and as there is a set routine to the weekly class, he soon picked up what was happening next and when it was the lie down & relaxing time! Our favourite time has been when the bus or box arrives, and all the kids run over to find out what is inside it that week! Whether they are playing with horns, tambourines, drums, kazoos, shakers, scrappers or the cloves, the kids (and parents & carers) join in with so much enthusiasm which is jollied on from the front by the class teacher! They learn quiet, loud, fast, slow and everything in between! But it’s not just about the musical instruments and songs sung. Mini Maestros brings in other learning elements to their classes, whether its focussing on seasons or celebrating a special event such as Christmas or Easter! Leon has also enjoyed story time which takes part in the older group sessions (to help with concentration). Leon’s thing is to sit on the lap of the teacher and help turn the pages!! Over the past 3 years we have seen Leon develop into a music loving little boy who loves to sing, play his musical instruments and whenever a song comes on the radio he is tapping along in time! He has loved his Mini Maestro Mondays and we really do believe that Mini Maestros has helped nurture his love of music and has had a huge impact on him!! Mini Maestros’ strap line is ‘’Making Music Magical’’ … yes, the Smiths certainly agree with that!! 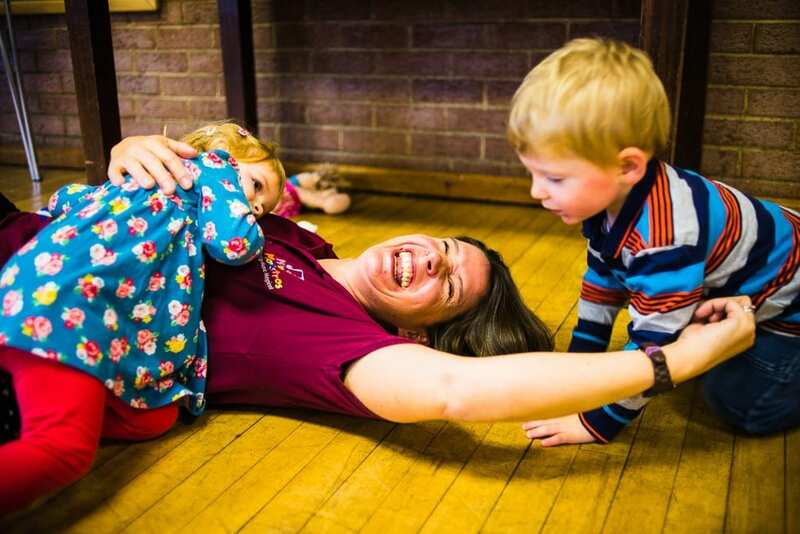 I received a free class in return for writing an honest review, but I think the real proof has been in the musical pudding as we have attended Mini Maestros for over three years and highly recommend Jo and her team!